"Can you watch the Wolf cubs? I'll go check it out," Gracesong scented the air. "N-no.. Can you?" she whispered. She glanced into the forest. 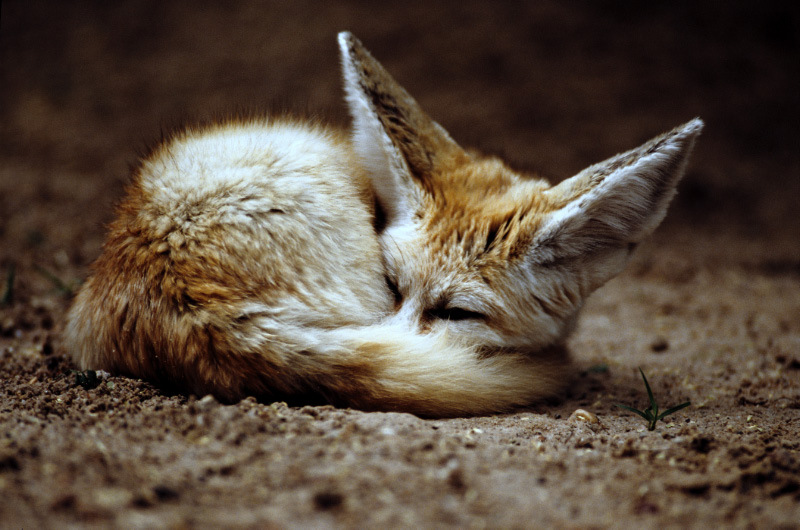 I am a Fennec Fox Freak <3 Fennecs Forever! "Do you want to check it out?" Gracesong asked. "Of course!" she barked. She wagged her tail and looked eagerly into the trees. Saber walked over, his white pelt standing out in the trees. "Well, get to it, Sock," He said lightly, with a warm smile. "If you complete this task, I'll make you higher in rank, if you want." For some reason, he liked the Omega. She was hard-working, not afraid to stand up for what's right, and protective. Click so me pack can advance! Sock stiffened. "A higher rank..." she muttered. She narrowed jer eyes and nodded, then trotted off into the forest. Saber silently followed Sock, to see what she would do. "They've spotted us." Althea announced. "Yay." She turned swiftly and vanished down the ravine, soon hidden by the snow. Saber scented the air, and scented a wolf. He forced himself not to attack, and just waited to see what Sock would do. Sock smelled the air and spotted some snow that had been kicked up. She smild and trotted quietly in the direction of the snow and smell. Saber smiled proudly at Sock. Rhythm got up and went back to the other silver wolves. Holyblaze got out from behind the bushes where she was watching the silver wolves. "What are you doing?" she asked curiously. Gracesong saw a wolf cub, and immediately jumped in front of it. "Don't you dare hurt the cub," She growled. "I didn't touch the pup." Rhythm said in a defensive voice. "Just back away, please," Gracesong said in a neutral voice. "I thought that you were having a gathering of silver wolves and didn't invite me." Holyblaze said. "So I came over here." Emerald wrote: Rhythm got up and went back to the other silver wolves. Holyblaze wrote: Holyblaze peeked out of the nursery and saw some silver wolves. "They're having a gathering of silver wolves and they didn't invite me!" she barked. "Blade, did you-" She looked around, but didn't see him anywhere, so she said, "He got invited but I didn't! I'm gonna go join the silver wolf gathering!" She quietly left the nursery and sneaked out of camp. Then she started running toward where she saw them. She stopped behind a bush and peered out from behind it and saw the silver wolves. Holyblaze wrote: Holyblaze got out from behind the bushes where she was watching the silver wolves. "What are you doing?" she asked curiously. Well, I followed him. Lol! "Get. Away. From. The. Cub." Gracesong growled. Sock growled at the sound of barking. She raced towards the flashing colors in the distance. She snarled at the silver wolf then Gracesong. "Stay away! I'm going to get promoted if I do this..."